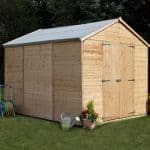 This is a traditional 7 x 7 apex shed by Waltons, and it has a tongue and groove structure to it as well. 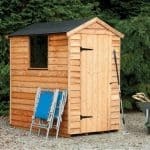 This is a great-looking shed, and once you are inside you are struck by the extra head height afforded by the apex roof. 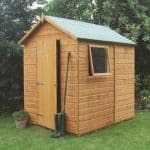 This makes a big difference, and allows you to feel that the shed is spacious and roomy. 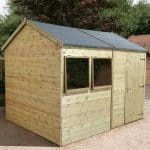 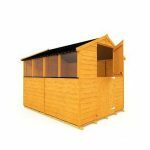 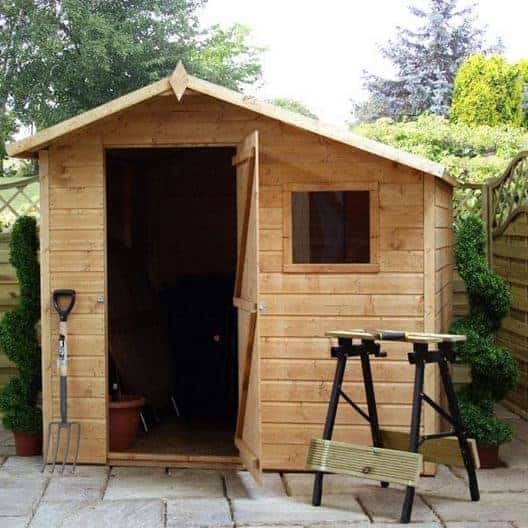 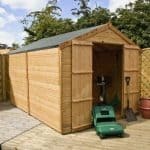 The tongue and groove work adds a massive amount of strength and stability to the unit, and brings you a shed that has natural resistance against the wet.